I’m quite a bit conservative when it comes to kids and media. For as much as I value a good family movie night or even just the simple pleasure of watching a show after a long day at work, I also find that I’m covering my children’s ears far more often than should be necessary. Even some apps and games cause me to blush when I come across their graphics! 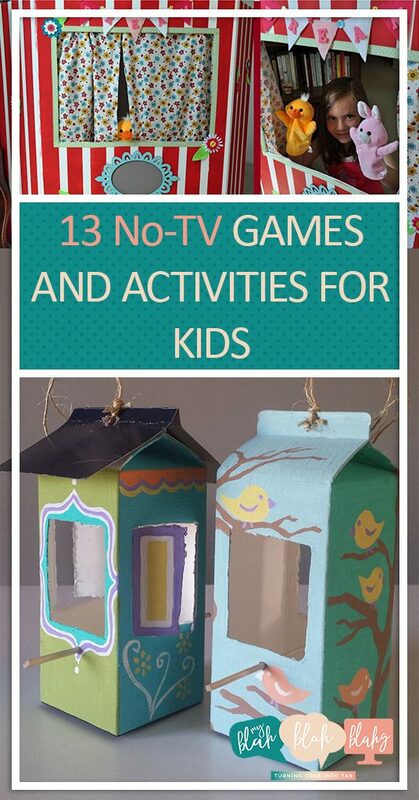 It is because of these shows, movies, and apps that I have pulled together a list of 13 no-TV, device-free activities for kids. Here’s to keeping our children children while that’s exactly what they are! Turn off your devices and head to the library or a local book store for story time. Nothing beats an imagination-stirring, hands-on book that you can hold and interact with. Let them have the experience of creating their own worlds before the screen does the imagining for them. Who needs a TV when you can write and perform your own stories?! Pass the hours by creating a puppet theater and putting on a show. Your children will love writing a story of their own and having an audience for which to perform. 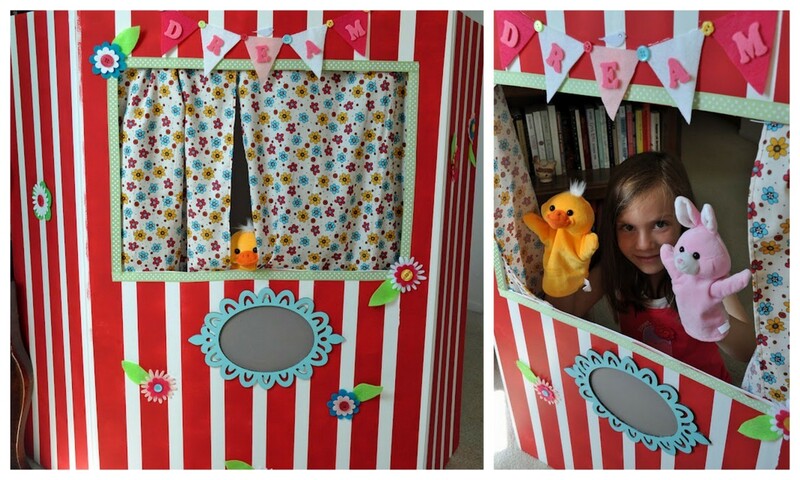 Get the DIY instructions for making your own puppet theater here. 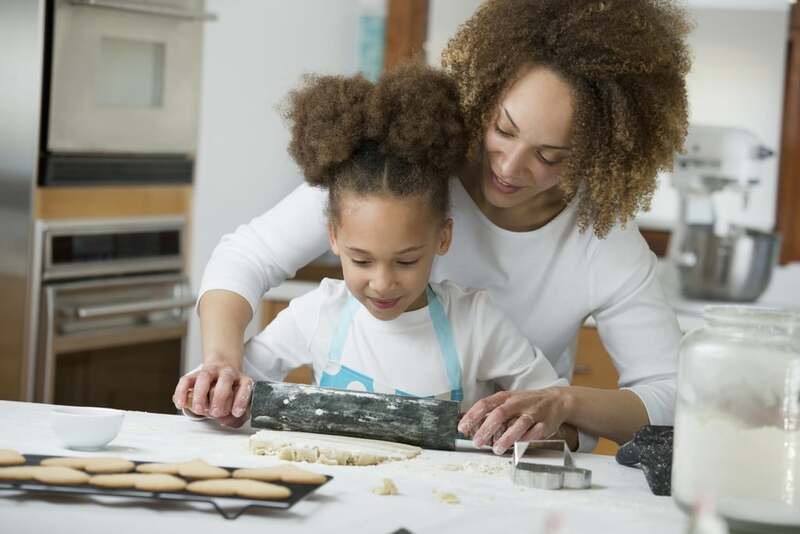 Teach your children how to cook or bake a tasty dish and learn some useful life skills while they’re at it. Even the littlest of hands can be given a simple job to do. For older children, don’t hesitate to add in some extra learning by teaching fractions, measurement, and other important math principles. After you’ve cooked up your delicious foods, pack them up in a picnic basket and head to the park. 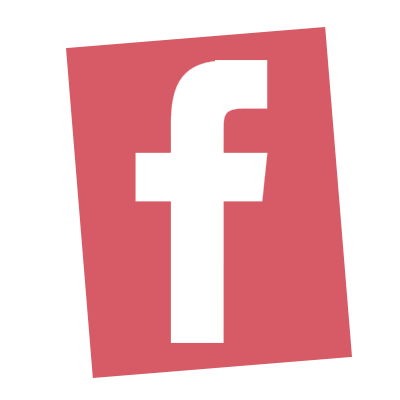 Bring along a ball, frisbee, kite or some other kind of activity as well to pass even more time outside and away from devices. Watch birds, not TV. Spend time making birdhouses together using empty milk cartons. Not only will your kids be away from the television, but you can also use the time to teach them about birds and nature. Learn how to make these fun milk carton birdhouses from Fancy Momma. Just finished watching your kids’ favorite movie for the 20th time? It can be hard to convince them to watch something else. Instead of watching the movie or show again though, let imaginations run wild by building your own icy princess castles and bat caves. 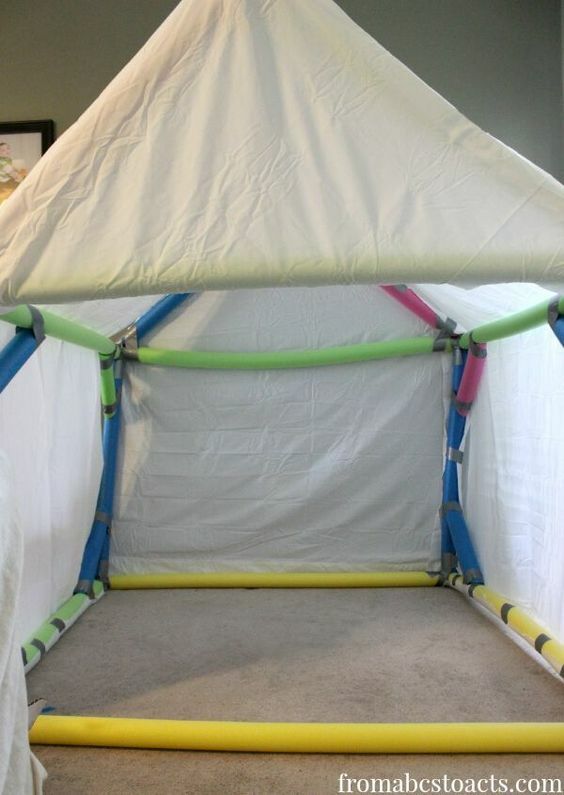 Use pool noodles for the frame and cover with sheets. With this activity, chances are they’ll actually “let it go” and be okay walking away from the TV. 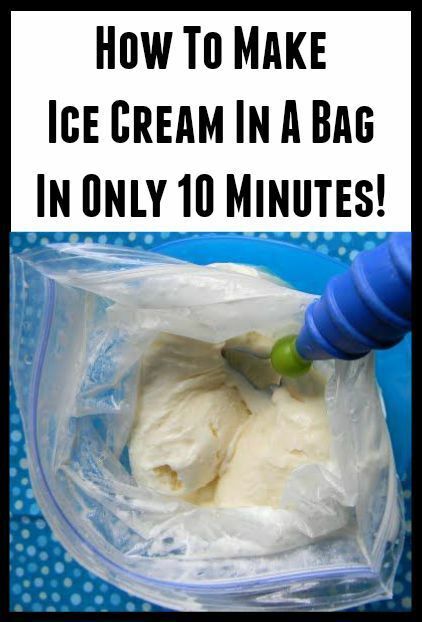 You won’t have to do much convincing when you suggest this activity to your kids… Learn how to make ice cream in a bag. It only takes 4 basic ingredients and 2 Ziploc bags. Get the DIY instructions from 2 Little Hooligans. 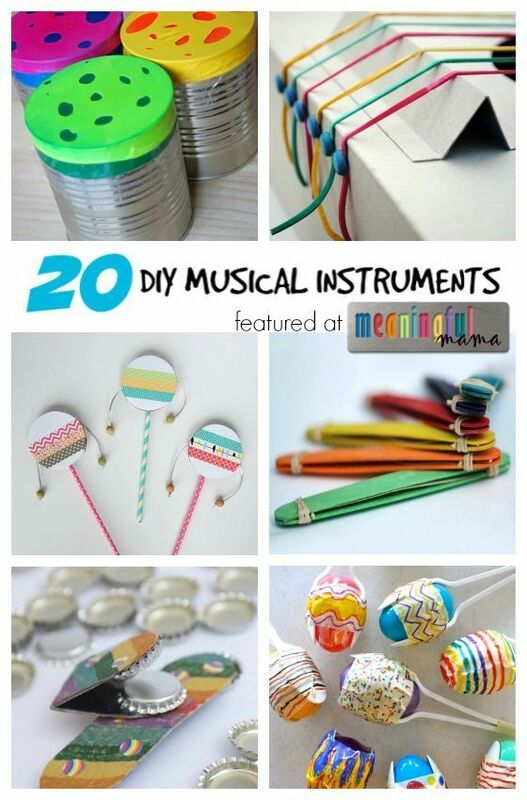 Create some good sounds with homemade instruments. 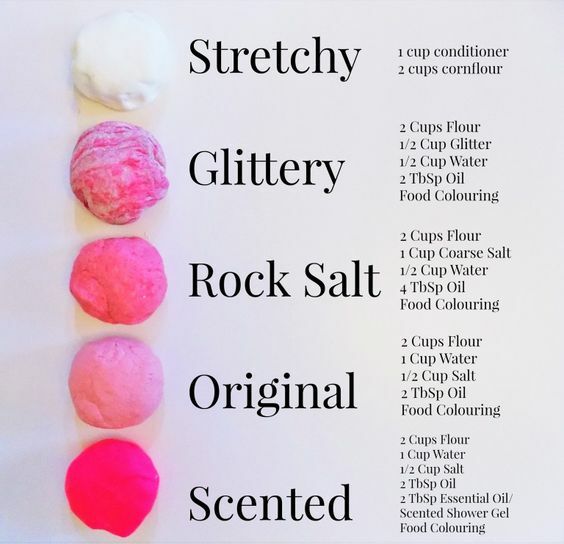 Use materials and supplies you already have lying around the house and be as imaginative as you can. Here are 20 ideas to get you started. How often do you receive friendly letters in the mail anymore? 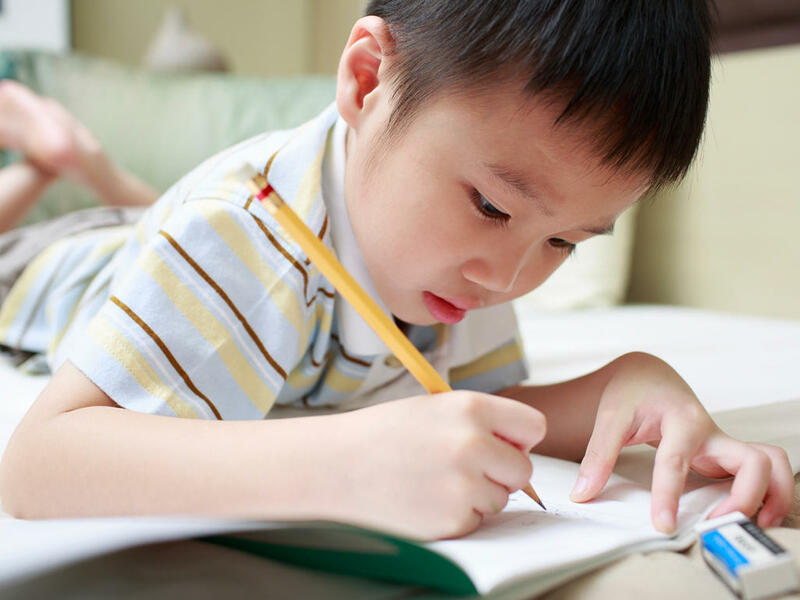 Teach your children how to write a formal letter and send it off to a friend or family member. How fun it will be when they receive a letter back! Have kids decorate their own thumbprint flower pots. Once they’re dry, plant your favorite flower or plant for an on-going project. 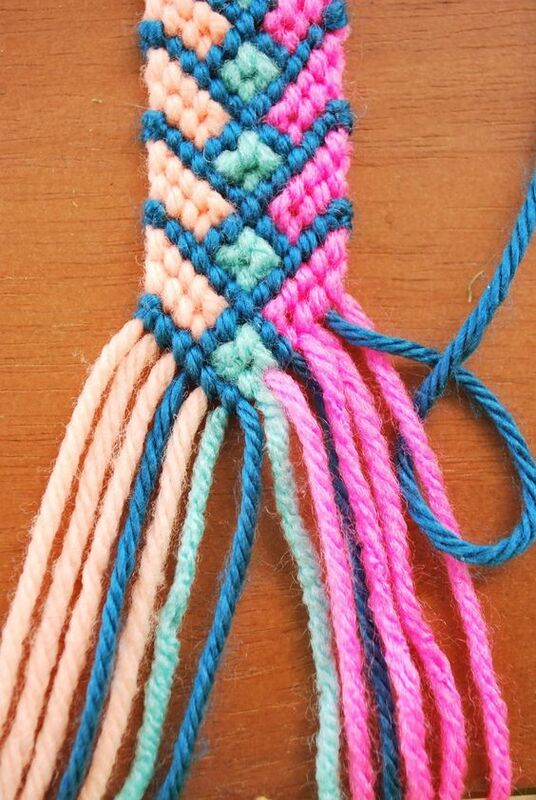 Keep mind and hands busy once the TV is off by making friendship bracelets. Happy Hour Projects also shares how to make wish bracelets. I’ve worked in classrooms long enough to know that building simple machines with children is always a favorite activity. Even reluctant children eventually get into the fun of making a simple machine and watching it work when you’re done. Simple machines make it simple to turn the devices off. 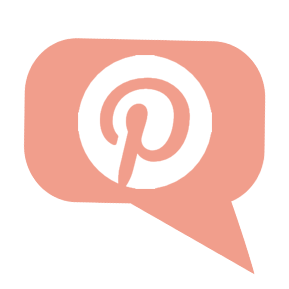 123 Homeschool 4 Me shares 24 simple machines projects here.